THIS MACHINE IS PRECISION AND MADE IN SWITZERLAND BY TAVARO SA IN GENEVA. THE MACHINE IS IN GOOD WORKING ORDER AND NEAT AS WELL WITH ITS SERIAL NUMBER. THE MACHINE DOES ALL THE USUAL STITCHES AND MANY MORE AND THAT IS WHY IT IS IN VERY HIGH DEMAND. 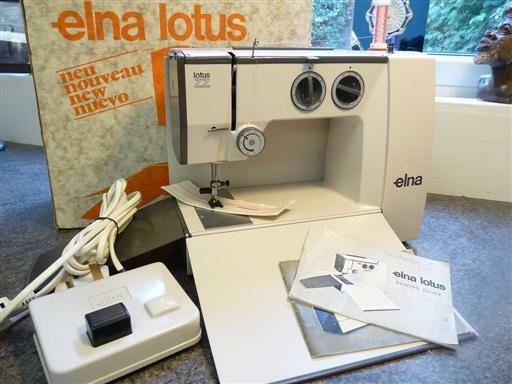 IT HAS JUST BEEN SERVICED BY ME, A ELNA-TRAINED MECHANIC AND A SEWING SAMPLE CAN BE SEEN ON THIS MACHINE. INCLUDED IN THE PACKAGE IS THE FOOT PEDAL and ACCESSORIES.